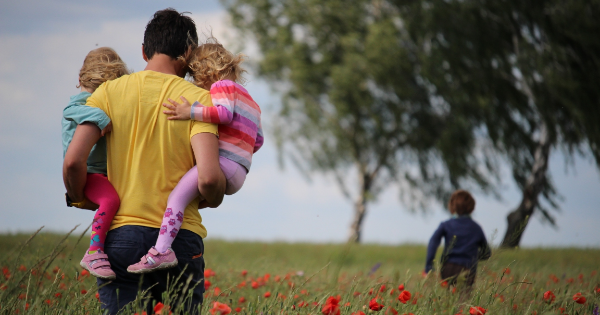 Home / Featured Content / What is Healthy Co-Parenting? Parenting children is challenging. Co-parenting after divorce can be especially challenging…and anything but healthy. Clear boundaries. You understand what you have control over and what you don’t. No matter how right you may think you are about something, the only person you can control is yourself, and the only thing you can control is the example you set. Co-parenting is an open dialogue between both parents. You may really hate the idea of having to talk to your ex. But remember, your involvement is now limited to the kids and their well-being. If you aren’t ready to talk face-to-face or on the phone, utilize the countless other means of communication — email, text, voicemail, websites for sharing schedules. What is important is that you communicate openly and consistently…and with integrity. Consistency with rules in both households. This can be a tough one when you are trying to create new rules for your life without the limitations of your spouse’s opinions. Children, however, need routine and structure in order to feel a sense of security and predictability. The unified front that is essential in an intact family is just as essential in a divided family — in some ways more so. This means no effort to be the “fun” or “cool” parent at the other’s expense; no trying to be your child’s friend by allowing him or her to put fun before responsibility; no making up a separate set of rules for your time with your kids. Willingness to be flexible. This is only possible if respect for the agreed-to plan is the rule and requests for flexibility are openly communicated in a timely manner. No disrespectful talk about your ex in front of or from your children. Agree to positive talk in the household. You may still wonder how you ever married your ex, but you must remember that your precious children are 50% “each of you.” Talking badly about the other parent is damaging to your kids, and ultimately to your relationship with them.You can always find something positive about the other parent to vocalize with your children — something that reinforces for them that they have inherited wonderful qualities from both their parents. Amicable interactions at school and extra-curricular events. Focusing on your kids is what is healthy. Co-parenting is about showing up for them, not for your own ego or needs. Children should never have to fear how their parents are going to behave if they are in the same room together. Talk about schedule/plan changes with ex before with kids. This is about adults taking care of the adult stuff and sparing the kids chaos and worry. Again, unified front. Frequent updating. Communicate directly with your ex about changes in your life. Never communicate with your ex through your kids. Doing so creates feelings of helplessness and fear in them and can put you at risk of information being miscommunicated. If you are dating someone seriously or have a new job or medical condition, you need to communicate directly with your children’s other parent. Your kids are not messengers. Recognition of both parents as significant influences in their children’s lives. You can’t possibly be all things to your children, and just because you are divorced doesn’t mean you should. Children need to experience both parents and to feel safe and supported as they process the influences from both relationships. Basic agreement on the most important things. Whether or not you and your ex have a written parental plan, you should agree on fundamentals like healthcare, education, discipline and spiritual upbringing. Imagine the inherent confusion for a child who has to do homework in one home but not the other. Kids believe their parents get along pretty well. Think about how emotionally liberating it is for a child not to have to worry about his or her parents fighting! Even more liberating is knowing that he or she will never be used as a pawn or messenger between parents because they are acting like mature adults. Even if you and your ex have no intention of laughing over dinner and cocktails together, the consistency of respectful, cordial interaction will be grounding to your children’s security.